.The Knights of Pythias is an organization named after the story of Damon and Pythias- two friends who were willing to die for one another. The story goes that Damon had criticized the king of Syracuse for obtaining the throne by fraud. Damon was condemned to death, however before being executed, he wanted the chance to see his wife and child one last time. His friend, Pythias, offered to stand in Damon’s place should Damon not come back. The founder of the Knights of Pythias, Justus H. Rathbone, based the founding principles of the order (Friendship, Charity and Benevolence) on this story which at the time had been turned into a popular play. ​The order was officially established in 1868 via congressional charter approved by President Abraham Lincoln, and was the first fraternal organization to be chartered by Congress in the United States. Lincoln believed that the founding principles of the order would promote national unity following the Civil War. In Humboldt County, the most recognizable remains of the Knights of Pythias can be seen in the buildings the order left behind, known as Pythian Castles. 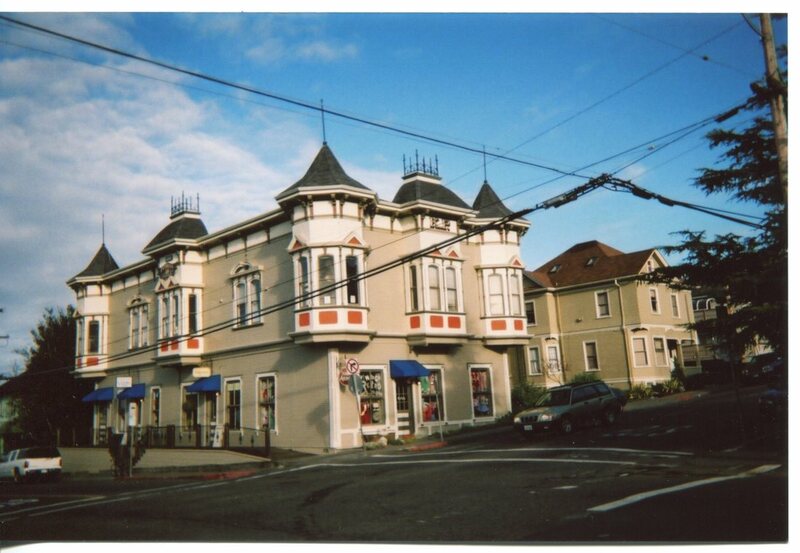 Pythian Castles exist in both Arcata (on the corner of 11th and H Streets) and Eureka (where Lost Coast Brewery is now). The Knights of Pythias were relatively popular, especially in Eureka, where they had 5 groups of Knights intermittently from 1887 to the late 1950s. Their popularity allowed the Knights to build a number of Pythian Castles, supporting the Knights and providing spaces for other organizations and businesses, like D. Barry's Grocery (above). Appendant Orders include the Pythian Sisters, a women’s auxiliary, and the Dramatic Order of the Knights of Khorassan, self-marketed as “refreshingly different” from the traditional Knights of Pythias rituals. The Knights of Khorassan are very similar to the Shriners of Freemasonry in their objective of bringing new light and levity to the main order, and that all members of the Dramatic Order must be members of the Knights of Pythias. Both of these appendant orders appeared in Humboldt County, namely Eureka.